One day, (insert name of Friend #1) & (insert name of Friend #2) were walking through the (insert landscape) one day, when all of the sudden-they heard a noise! It sounded like this! (insert random noise). They didn't know what it was, so they kept walking. And then all of the sudden-they heard ANOTHER noise! It sounded like this! (insert different random noise). The friends heard a few noises and then found the source of the noise. It was usually a typically scary thing(bear, giant, monster) eating something that was gigantic and silly(bowl of ice cream, popsicle, corn on the cob), who turned out to be a nice guy. In the end, they all become friends and live happily ever after. The end. No matter how many different types of stories I tell, this is the format the girls request most often. They've even started telling stories themselves. It is brilliant. To listen to these girls tell stories from their imaginations, is, by far, one of my favorite things to do. They have such expression in their voices and faces, I could listen to them all day long. Telling, reading and listening to stories is a definite highlight of my week. One of the primary places that takes place is at Monkeyshines Children's Books. Every Thursday they have story time, where the lovely Sue reads three kids books to a group of adoring children. There are days when I think, if the girls could, they would go home with Sue. She, and all the Monkeyshines staff, are wonderful. Before we started going to Monkeyshines, I was a bit of a children's book addict, primarily picture books. Going for our weekly visit to the bookstore has sent my addiction into overdrive! I have shared in the past about books I would recommend for the preschool set, but I thought I should update the list, as Monkeyshines has exposed me to all sorts of fantastic books! 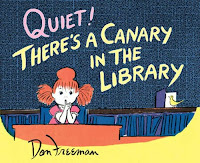 This book is a daily read when we have it out from the library. The girls love it and have most of the words memorized. We've read it so many times that now, when they're playing, they don't get scared, they 'shake in fear!" 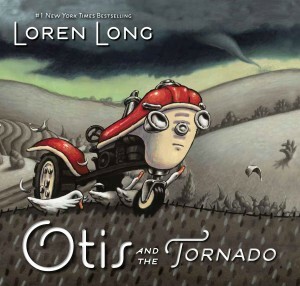 I love the vocabulary the Otis books have! This book is a great book to spark conversations about friendship, kindness and first impressions. 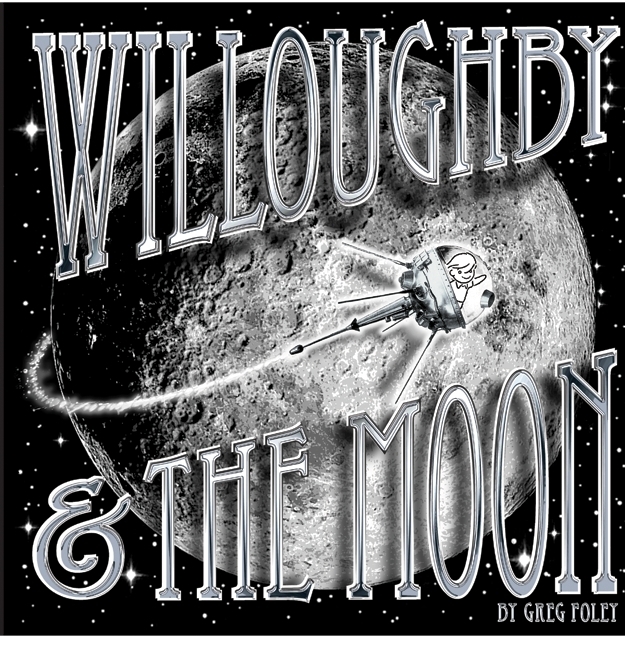 Willoughy & The Moon has marvelous illustrations. They're entirely black, white and shiny silver, which I love. Thankfully the story is equally fantastic. 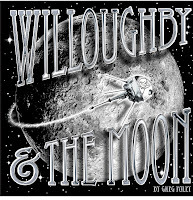 Willoughby is scared of the dark and one night ventures into his closet to find-the moon! There, Willoughby meets a giant snail and discovers that even when you're scared, you can still do something brave. This book can start conversations about being adventurous, trying things when you're unsure, and, of course, great imagination stories about the moon! 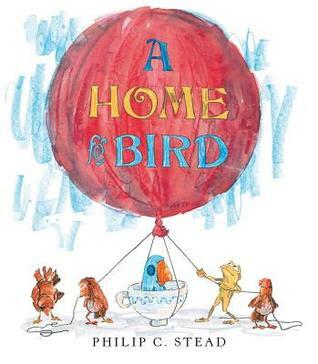 Philip C Stead(author), and his wife Erin(illustrator), have a tendency to put out completely endearing children's books that I immediately fall in love with. A Sick Day For Amos McGee is incredibly sweet and won the 2011 Caldecott Medal. Bear Has A Story To Tell is just as charming! 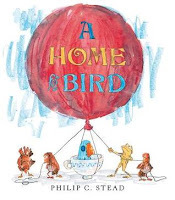 A Home For Bird, is, however, a solo effort by Philip and matches the loveliness of the collaborations he has had with his wife. A story of friendship that never gives up! 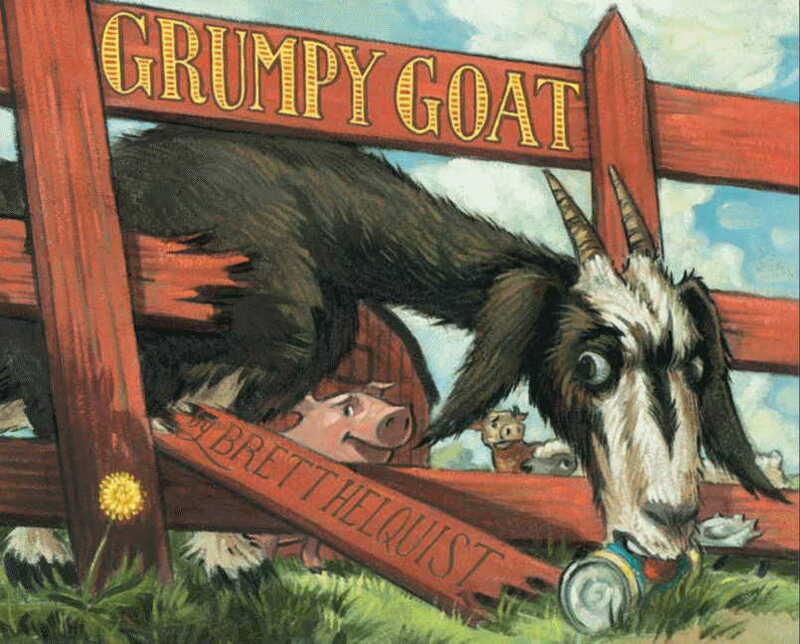 Brett Helquist tells the story of a grumpy goat who's never had a friend. 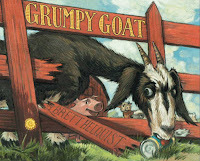 The other animals on the farm try to befriend the goat, only to be rebuffed at every turn. After the goat discovers a bright and beautiful flower, he begins to soften. In the end, another story of friendship and opening up your heart! 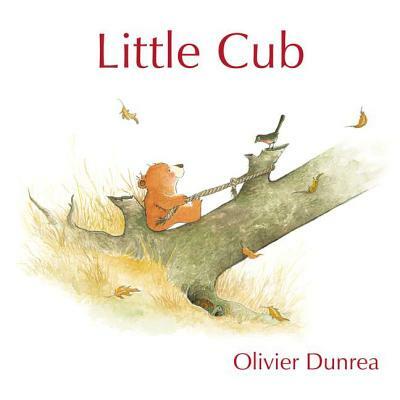 Little Cub tells us of a little cub living alone near the forest and of an old bear living alone in the forest. Both lonely and wishing for something more. One day, they stumble across each other's path and find their missing piece. A beautiful story for parents and children, especially those who came together through adoption. Don Freeman is most famously known for Corduroy, a children's classic to be sure. I was delighted to find this book on the shelf at Monkeyshine, having never heard it of! A great book about a girl named Cary and what she would do if she were the librarian! Liberal doses of imagination and lots of animals make for a great story! I see a pattern on my kids bookshelves at home. They're filled with sweet stories of friendship. 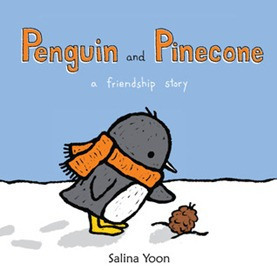 Penguin and Pinecone is no different. Penguin and Pinecone's friendship spans the years and shows that, "When you give love, it grows." 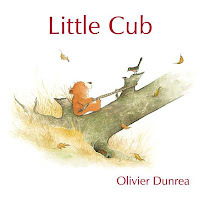 Simple illustrations, not too many words, a new favorite.